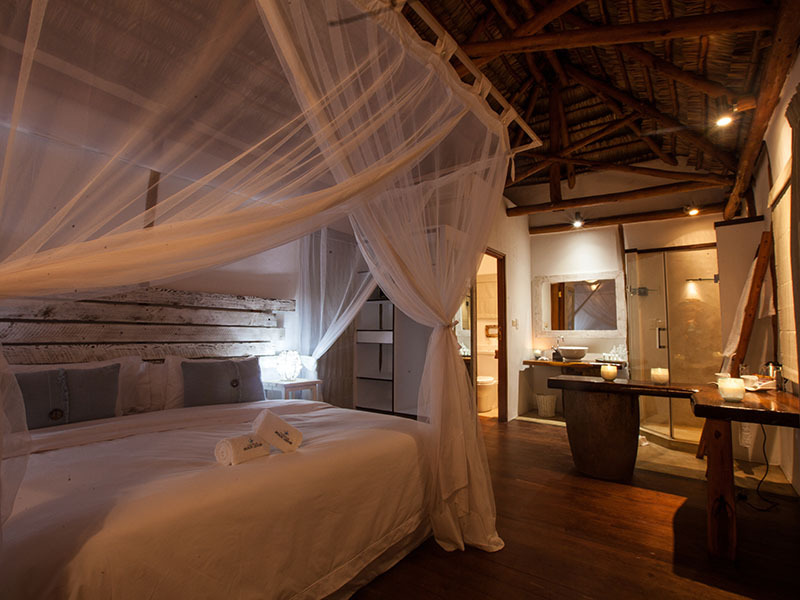 Vilanculos Beach Lodge is situated in the small coastal town of Vilankulo, in the subtropical province of Inhambane. Friendly people and a lively atmosphere, it’s the perfect place to explore the picturesque Bazaruto Archipelago and the Bazaruto National Park. 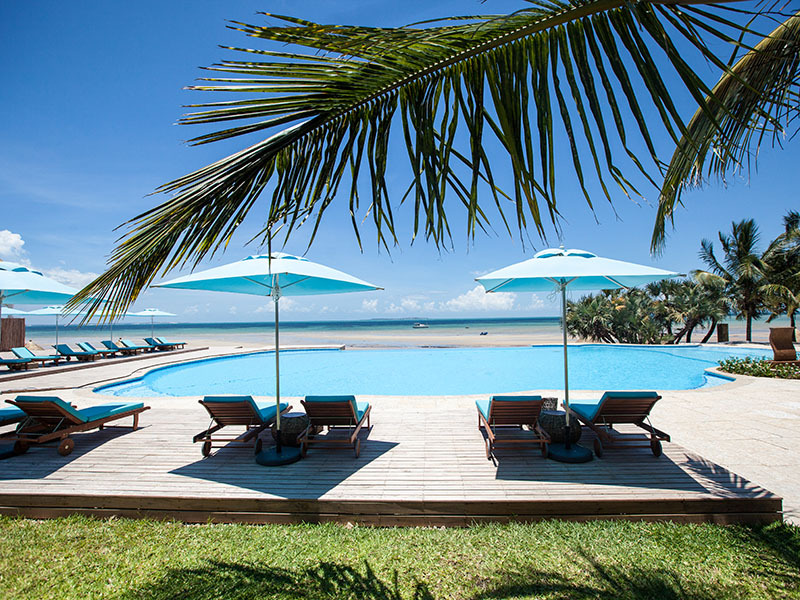 Spectacular location, excellent restaurant and bars, beautiful beach, inviting swimming pool and lovely bungalows combine for a memorable stay. 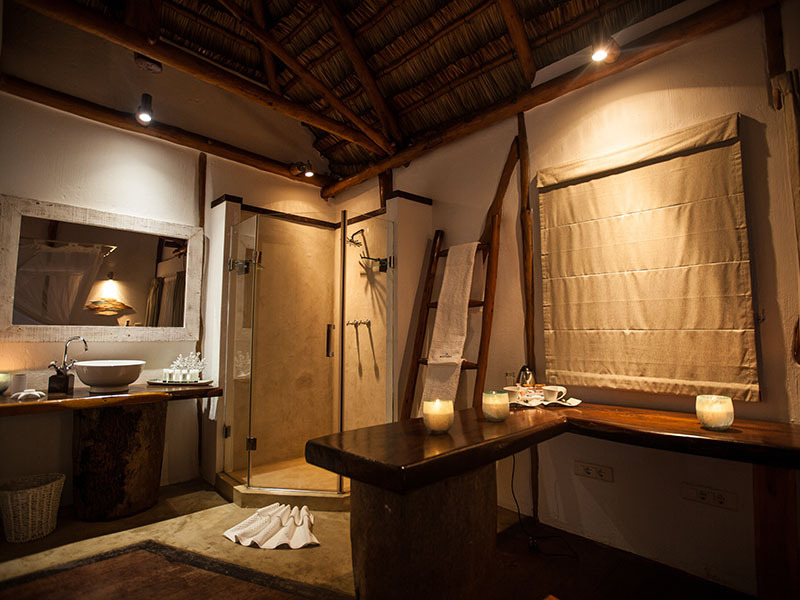 The lodge is constructed from natural indigenous elements, which have been combined in perfect harmony - the result is relaxed yet stylish accommodation! 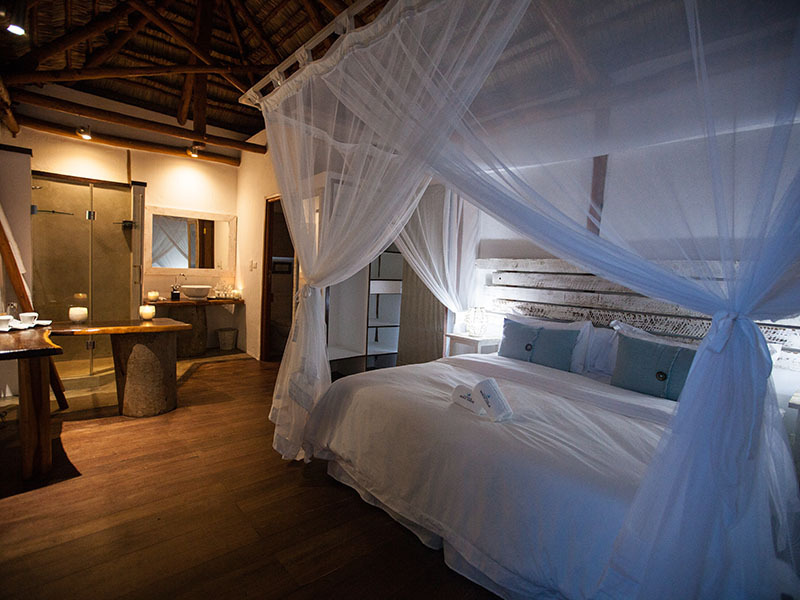 Vilanculos Beach Lodge is situated in the small coastal town of Vilankulo, in the subtropical province of Inhambane, Mozambique. Vilankulo lies about 700kms north of Maputo and 500kms south of Beira. The town, with friendly people and a lively atmosphere, the perfect base from which to explore the picturesque Bazaruto Archipelago and the Bazaruto National Park! 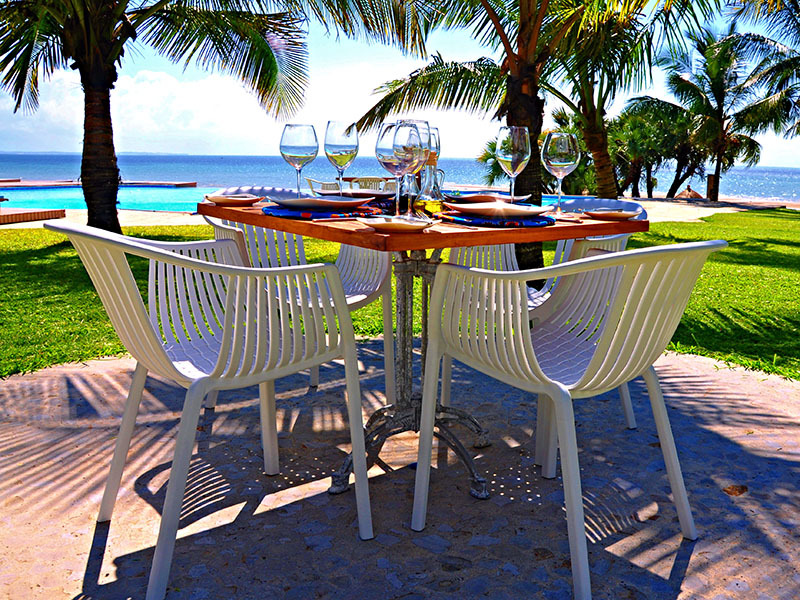 Breath-taking location, excellent restaurant and bars, beautiful beach, inviting swimming pool and lovely bungalows combine to make for memorable holidays at this beach resort in Vilanculos. This welcoming thatched structure invites guests to unwind in the comfort of its open spaces and passages which lead into the garden, allowing for a refreshing seascape and uninterrupted views of the sea. 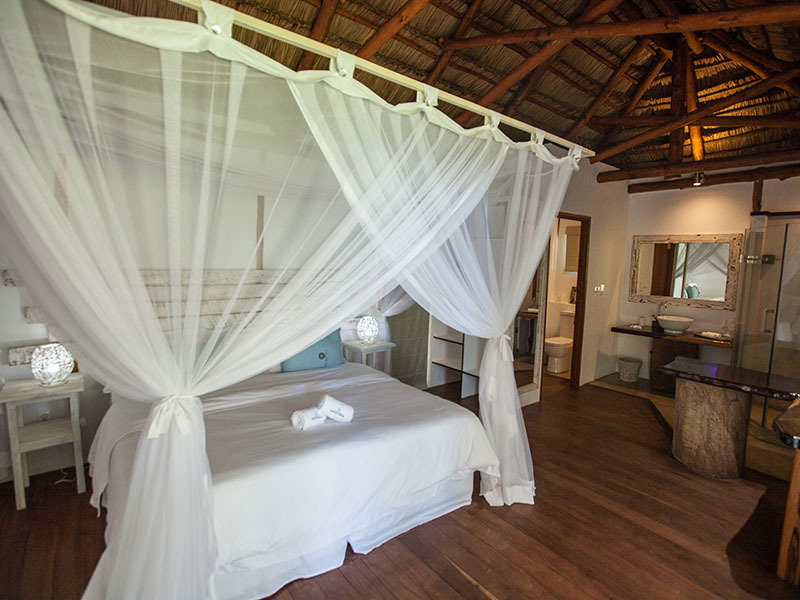 The Vilanculos Beach Lodge Bungalows are set amidst lush indigenous gardens with balconies enriching with sea views! Care has been taken in the placement of all chalets to provide guests with views of the sea while retaining privacy in the rooms. 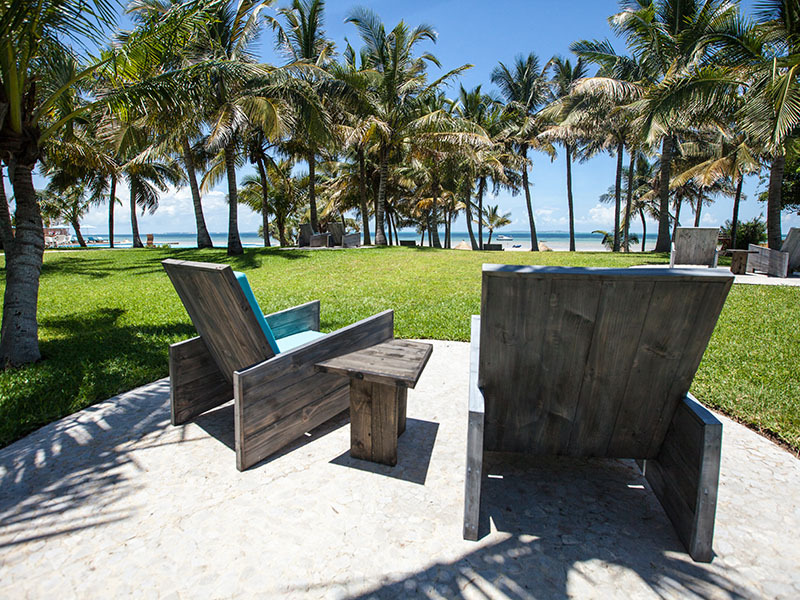 This amazing Vilanculos Mozambique Accommodation also offers 1 presidential suite which is built on stilts and offers superb views of the ocean and the islands in the distance. It has two en-suite bedrooms, a comfortable open plan lounge as well as a spacious covered veranda. 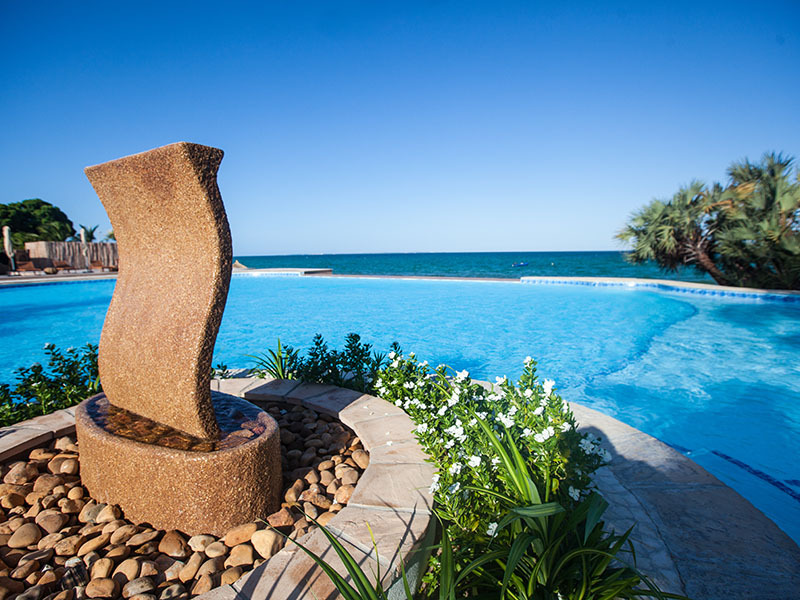 The pool area has incredible uninterrupted views of the Azure blue Ocean as well as the stunning Archipelago whilst the infinity pool offers a welcome retreat from the heat of the day. Dive in the warm, subtropical waters of the Indian Ocean in and around the Bazaruto Archipelago. Let the dive instructor guide you around the pristine coral reefs which abound with more than 200 species of fish. In addition to most of the beautiful East Indian Ocean reefs, we have the privilege of seeing various species of Sharks, Whale sharks, Manta rays, Potato bass, Turtles, Guitarfish and various Rays and Eels. Or take a snorkelling trip to the amazing Two Mile Reef. Here one may appreciate the beauty and colours of a coral reef and the abundant marine life it supports. Kitesurfing in Vilanculos Mozambique is world class! You can either partake in a kitesurfing baptism, learn how to kite surf or join a kiting safari. The Govuro river canoe trip is unquestionably one of the best activities in Vilanculos Beach Lodge with an ideal combination of unspoilt riverine and incredible birdlife. You have an option of doing an early morning canoe trail or an afternoon trip, which allows sighting of frogs, birds, fireflies and star gazing. Go fishing in and around the prolific waters of the Bazaruto Archipelago. Let one of the lodges’ local skippers expertly guide you to one of the current fishing hot spots aboard one of the many fishing vessels available. From Catamarans to Yachts. Tailor make your own package – be it for fishing, snorkelling, island hopping or whale watching – a boat charter allows you to fulfil your every dream. The spacious restaurant offers the choice of dining indoors or, the option of dining under the palm trees or next to the pool. Traditional Mozambican, Portuguese and international fare is served fresh. Scrumptious seafood remains the recommended plate of the day. Enjoy a continental feast for breakfast, a light lunch, indulge in as many cappuccinos and espressos as you like during the day, and enjoy a spectacular dinner at night! From the moment of arrival in Vilanculos be greeted by friendly staff and professional team catering to your every whim! 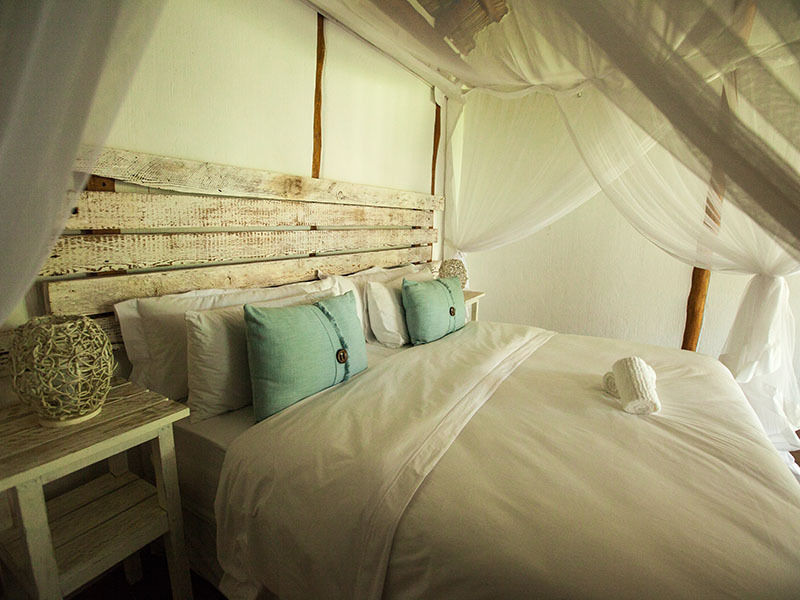 Have your luxury bungalow romantically set up and prepared for special moments with a bottle of champagne and rose petals for that very special honeymoon. With lush private gardens and service providing unforgettable memories what better place to honeymoon with your loved one! Enjoy a beverage while watching a spectacular sunset from the water on a traditional Dhow- The perfect ending to an already perfect day. Let us help plan your 2019 holiday to Mozambique now! A package with flights from South Africa is easily arranged by our travel crew. Fly into the Vilanculos National Airport and jump on board your organised transfer, 8km to the lodge which is right on the beach.